Wednesday, February 22nd is Day of Pink across British Columbia and Canada! Join thousands of students and staff across British Columbia to show your support for anti-bullying initiatives: wear the official anti-bullying colour, pink! Pink Day started in 2007 when two Nova Scotia high school students decided to create a “Sea of Pink” to support a grade 9 boy who was called homophobic names when he wore a pink shirt to school. See related story on CBC.ca website. This day is now celebrated right across Canada. A sea of pink in schools and communities will show BC’s commitment to a safe and inclusive province that actively promotes respectful and kind behaviour among its citizens. On February 22nd we encourage everyone to practice kindness. 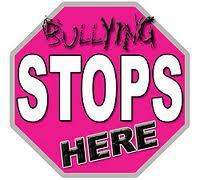 Together we can end bullying!